We simply can’t let our love of foxes go so #FoxyFriday continues! We’ve previously selected our favourite foxy cushions, crockery, and art prints. Foxes can never (on the whole) be domesticated but foxy homewares and art are an ideal way to bring the beauties safely and comfortably into our homes. 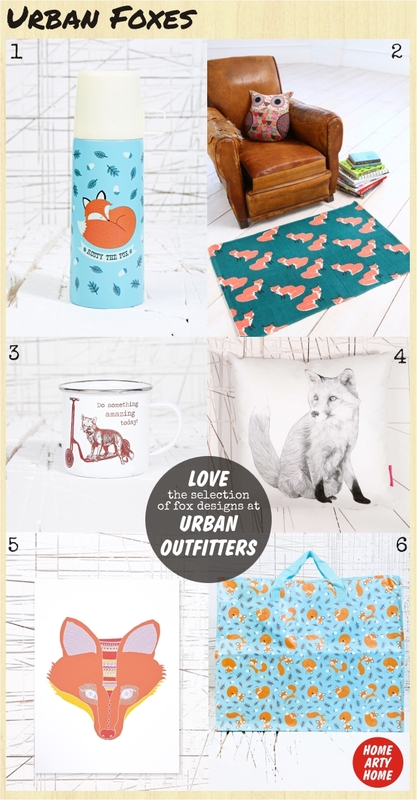 This week with a look at some of the great urban foxes available from Urban Outfitters.